Get ready! 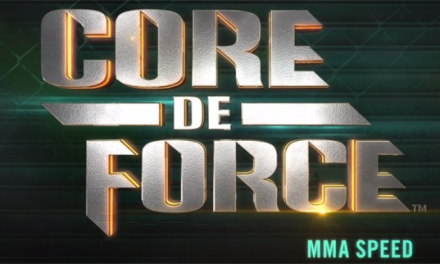 Core de Force, think MMA workout DVD, is coming very soon! Think about this… a lot of people feel that getting the body they want will take years. They believe that 30 short days won’t make a difference. The thought of putting in a long term commitment to get fit just seems too hard. Instead of just getting started, they do nothing, and nothing changes! What if I told you that you CAN accomplish results in 30 days. An MMA workout DVD can get you fit. Core de Force is so powerful, that 30 days can help you lose weight and get fit. Well, guess what…. that’s just what this MMA workout DVD does! 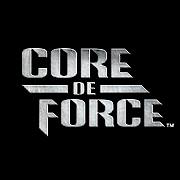 Core de Force is the latest program developed by Jericho McMatthews and Joel Freeman, two of Beachbody’s newest Super Trainers. The greatest thing about these athletes is their versatility. They have helped thousands of people get into shape by using workouts ranging from yoga to dance to weight training. They will be the first to confirm that the way to shed unwanted belly fat and transform your entire body is to use Core de Force and the MMA workout style of training. Every workout session is broken down into “rounds” that are 3-mintues in length. They mirror real boxing matches to give you a short but highly-effective way of achieving a full-body workout. In the three minute rounds you will seamlessly shift between kickboxing, Muay Thai-inspired combos, bodyweight training, addictive boxing and cardio spikes. By combining all of these high-energy workouts into three quick 3-mintue rounds, you can truly kick your fat burning into mega-overdrive. The benefit isn’t just to burn calories though. With this method of working out, every movement is built to tighten your midsection. Just think of the knees, jabs, rotational and 360-degree core workout you will be participating in. Each movement is calling on your core to bring the power to your entire workout. This is what makes it such an effective workout. All you have to do is hit your work out hard throughout those 3-minute intervals and before you blink- it’s all over! The Core de Force program is tailored for anyone who desires to lose their belly. It is customizable to an advanced athlete who knows the movements or to a beginner who still has to learn the various combination. There is even an effective modifier in each workout that will move breakdowns to assist you in mastering hooks and kicks right from the start. 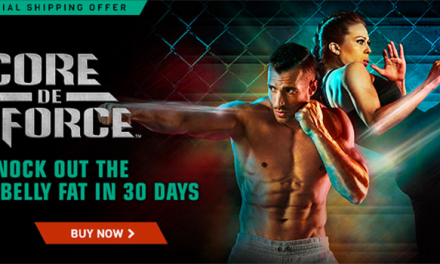 Core de Force includes 2 bodyweight workouts, 4 MMA workouts, 1 active recovery workout, 2 core workouts, a quick-start guide- 1-quick before-bed stretch routine, an eating plan and a 30-day calendar to keep you on track. The entire package is only $59.85. Everyone loves to kick and punch in their workout. With Core de Force, however, you are taught the way to use kicking and punching most effectively. On top of that, it’s lots of fun! Sign up here to learn more about the program, get updates, and be the first to know when its available!